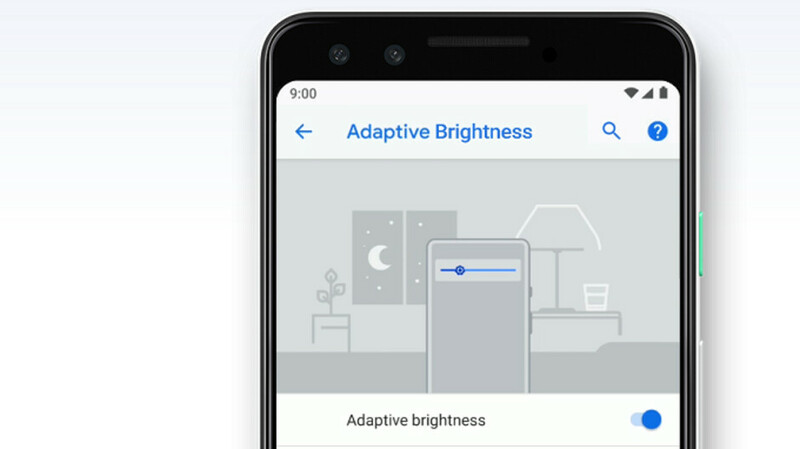 If you have a device running on Android 9 Pie, you might have already noticed that the Adaptive Brightness feature keeps tabs on how bright you like to have your phone's screen depending on both the environment, and the features that are being used on the handset at certain times. The feature also helps Android remember the times that you used the brightness slider to manually adjust the display. Over time, the phone learns how you like the screen to look in in the bright sunny outdoors, the dark of night, and in between. With this knowledge, the phone will automatically adjust the brightness of the display. Now let's say that something has changed in your life that gives you the incentive to reset Adaptive Brightness. Well, you could always open the Device Health Services app and factory reset the feature. However, the app also controls the Adaptive Battery feature that uses machine learning to limit access to the battery for apps you don't use that much. It used to be that when you reset Adaptive Brightness, you'd also lose all of the battery data and other information that made Adaptive Battery work. So if you decided to start the former from scratch, the latter would do so too. 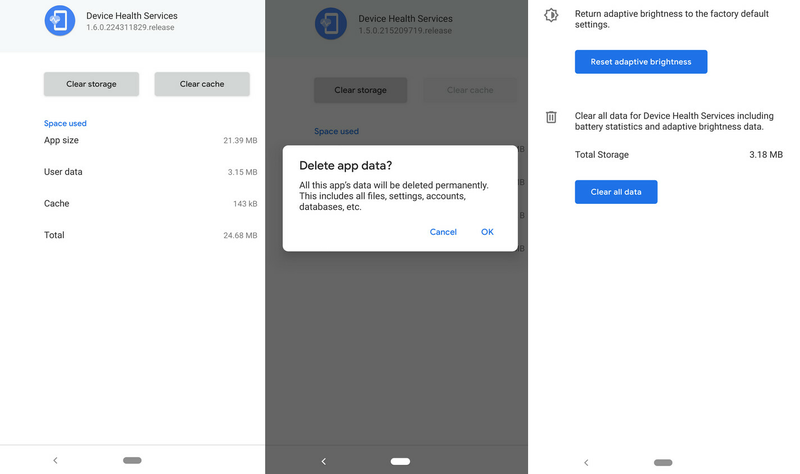 According to 9to5Google, the update to version 1.6 of the Device Health Services app offers you an option to factory reset Adaptive Brightness without erasing all of the battery data and other information required for Adaptive Battery. To get to the reset button, go to Settings > Apps & notifications > Device Health Services > Storage. Tap on Clear Storage. Besides the "Clear all data" button, there is a new Reset adaptive brightness option that will allow you to retrain your phone's brightness setting, but allow it to keep apps you don't use from consuming energy from the battery. Is anyone experience significant battery endurance on pie? I'm trying this out. When I started using the Pie beta on my phone, the brightness would change at random in the same lighting conditions. The problem continued when the final Pie version was installed too. This was not an issue when I had Oreo.